London Bridge is easily one of the most famously named bridges in the world, and the site of the oldest recorded crossing of the River Thames. Walk across the landmark structure, enjoy gorgeous river views and pick up insights into the bridge’s history in its underground vaults. A bridge has spanned this section of the River Thames since A.D. 50. In 1962, its 19th-century incarnation was disassembled brick by brick and transported to Arizona. It had been bought by a man named Robert McCulloch to serve as a tourist attraction at Lake Havasu. The current crossing dates back to 1973 and was built in a simple style popular during the 1970s. As you make your way across the bridge, look for the sculpture of a spike on its south side. The work of art commemorates the old bridge’s 30 spikes upon which the severed heads of traitors were placed. Pause to take in the delightful views of the Thames, including Tower Bridge, a little further downstream. Many tourists often confuse London Bridge with this grand Victorian crossing. After your stroll, venture beneath the bridge for the London Bridge Experience. This interactive attraction traces the dark history of the bridge and surrounding area, covering 2,000 years. The journey is led by actors and features a variety of special effects designed to transport visitors to the London of centuries past. Watch Boudicca battle the Romans, hear stories of Jack the Ripper and experience the Great London Fire. London Bridge spans the Thames between London’s financial district and Southwark, in central London. Although you can reach the bridge from London Bridge station, Monument Tube station actually offers easier access. On both sides of the bridge, you will find plenty of busy bars and restaurants where you can stop for refreshments. For those planning to visit the London Bridge Experience, note that it is open daily and admission charges apply. 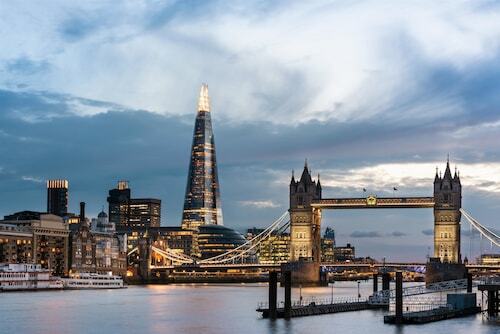 Have a look at our London things to do page to discover even more activities in the area. 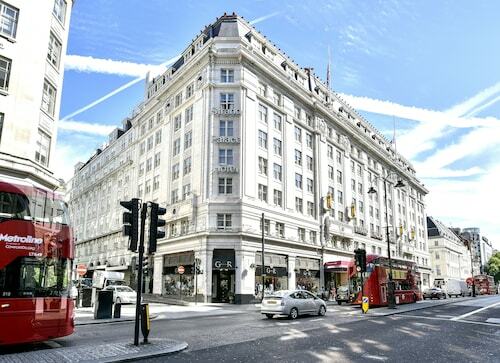 This luxury hotel is a 5 minute-walk from the historic Borough Market and is within 20 minutes of landmarks such as St Paul’s Cathedral and the Tower of London. London Bridge station is a 6-minute walk. 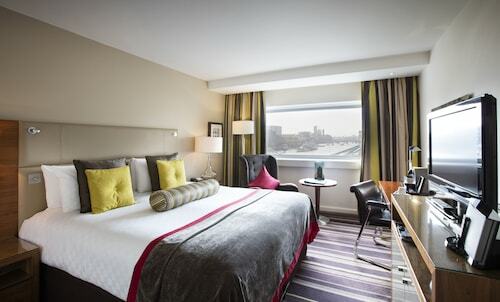 Located in London City Centre, this hotel is within a 10-minute walk of Sky Garden, The Gherkin, and Tower of London. Tower Bridge and Liverpool Street are also within 15 minutes. Tower Hill Station and Tower Gateway Station are within a 5-minute walk.